Kahaluʻu Bay, Kona—it’s one of the most popular snorkeling spots in Hawaiʻi, host to four hundred thousand visitors a year. Due to this heavy and ongoing impact, the underwater landscape of Kahaluʻu is in danger, as is the marine life that calls this bay home. ReefTeachers are helping protect this natural resource. 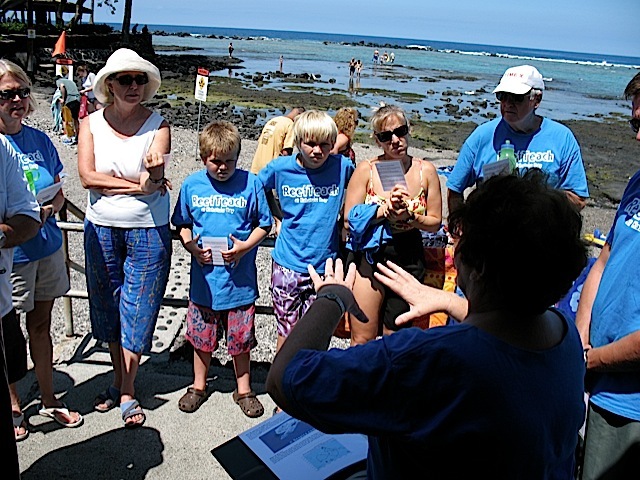 Run by the Kohala Center, volunteers help educate beachgoers about the ecosystem of coast, reef, and ocean, and how they can support it. ReefTeach positions are free* and open to volunteers of all ages, individual or group, after a one-time onsite training (of about 2 hours). 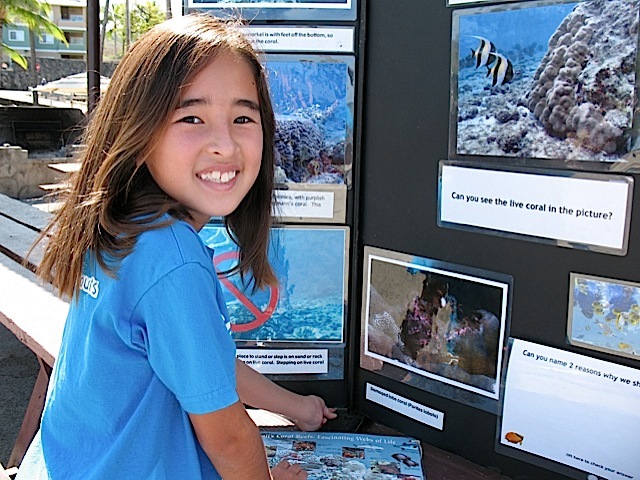 For more about becoming a ReefTeacher, go to the Kohala Center website, or contact Cindi Punihaole at cpunihaole@kohalacenter.org, (808) 895-1010. * For large volunteer groups, check with the Kohala Center first about a small donation to help cover costs of extra staffing and related expenses.